8020 Consulting Volunteers with GOOD+ Foundation to Help Children of Low-Income Families in L.A.
On Saturday, June 24, 8020 Consulting volunteers came together at the Los Angeles warehouse of GOOD+ Foundation to sort, pack and bundle a variety of necessities for children of low-income families in the metro area. The team sorted 785 books, 405 pieces of bedding and 2,390 pieces of clothing. The volunteer event was a great opportunity to get the team together to serve our community. We would highly recommend GOOD+ to other local companies interested in making a difference. 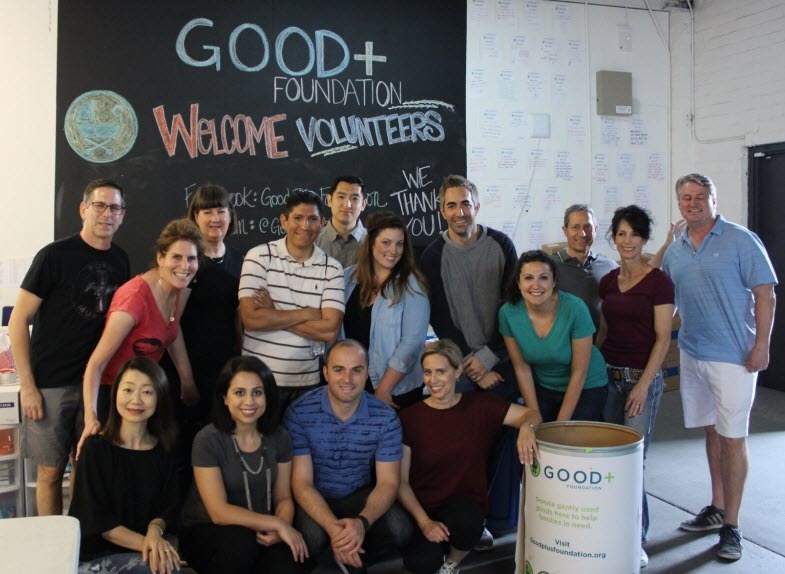 Founded by Jessica Seinfeld, the GOOD+ Foundation donates millions of items each year and uses 90 cents of every dollar to support their mission: to break the cycle of family poverty through the power of donated child products and life-changing family services, such as GED prep, financial literacy, parenting classes, and job and life skills training. Today, one in five children lives in poverty. Many parents working minimum-wage jobs are forced to make a choice between buying clean diapers and putting food on the table. Basic necessities that keep children safe and healthy, such as cribs and car seats, are considered luxuries. With more than 160 partners, 35 million items donated nationwide, and 45,000 volunteers, GOOD+ offers the services and the items needed to lay the foundation for families all over the country. Please spread the word by sharing on social media using the hashtag #DoGoodGiveGoods, liking us on Facebook (GOOD+ Foundation) or following us on Instagram or Twitter (@GoodPludFdn). To learn more visit: www.goodplusfoundation.org.